I assume you know a little bit who I am and what I’m doing, I’m not the one to by > 100€ to buy a one shot development board kit to test & hack a device like the Telecom Design chip. So basically I built my own with the objective to work with multiple configuration. My “cahier des charges” was to make a board able to be installed as a dauther board on a raspberry PI, able to support an arduino, able to run autonomously and being able to own a TD1204 as a TD1208. It was a huge work to route it and I must recognize that it do not have all the GPIO connected as I expected but it exists, it works and it help me to build my first SigFox prototypes with success. So, now, I propose to distribute this board to those of you looking for a such swiss knife. 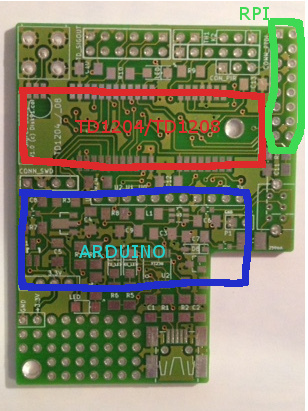 If you connect it to a raspberry PI, you will use the green connector and get access to the telecom design chip through the UART. 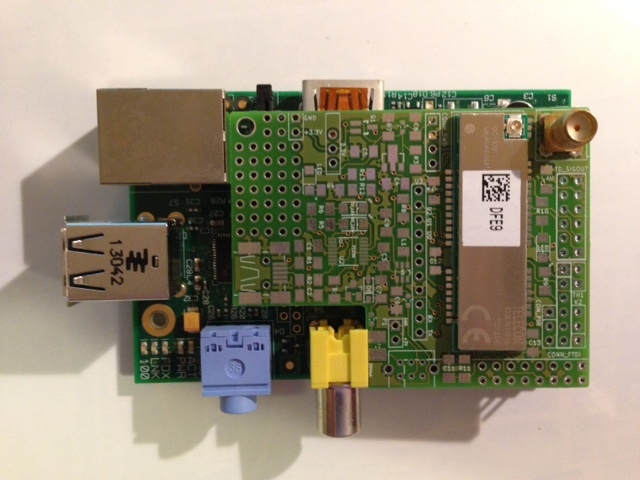 The Raspberry will provide the 3.3V supply and 3 of the TD GPIO will be accessible from the RPI also. If you connect an Arduino nano on the board, you will also communicate with the TD chips using the UART and get access to 2-4 GPIOs. In this configuration, the power supply is provided by the board. It can be done from a usb cable or from batteries. The TD1204/TD1208 area allowing you to plpug one of these components. The antenna connector can be on the top or on the front depending on the casing. Here is an example of the board configured for a standalone usage where the firmware has been modified for a custom usage. I’ll document all of this depend of your usage and questions, so this will be a “on construction” page for a while. 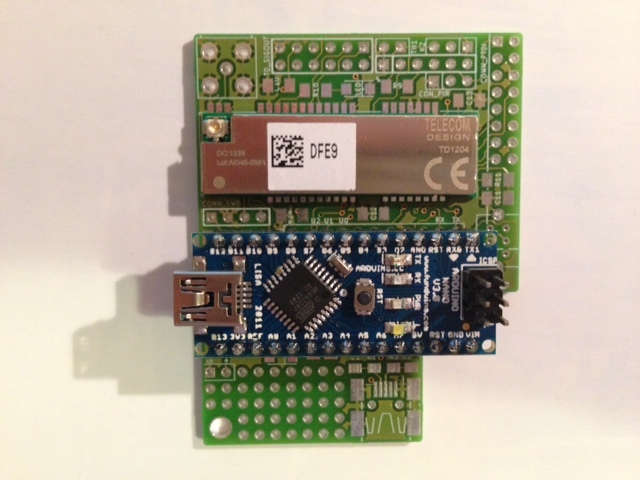 This board is not validated by SigFox, it means you can’t use it in a final design or you will have to validate it. So, if you are looking for a such board, leave me a comment with you email address and I’ll contact you to discuss about it. I can produce it, sell it, do a lot of stuff with it, depend of the time I have and depend of you and your project. It may be possible to sell it in a more industrial way later, but today i’m too busy to study this. 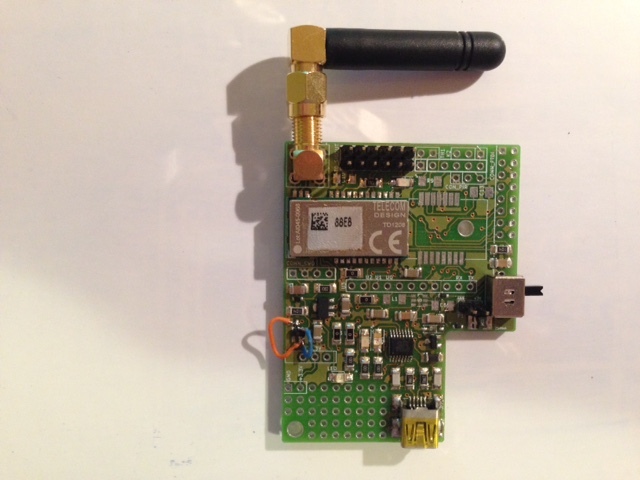 This entry was posted in IoT, Sigfox and tagged arduino, raspberry pi, SigFox, td1204, td1205, telecom design. Bookmark the permalink. Nous sommes une équipe de 4 étudiants-ingénieurs, et nous envisageons l’utilisation de la technologie Sigfox. Nous avons vu sur votre blog que vous utilisez des puces de Telecom Design, pouvez-vous nous renseigner à ce sujet puisque nous n’avons pas trouvé un ordre de prix et l’endroit où en acheter ? To obtain these chips & price, the best way is to ask Avnet-memec : the French distributor. What component are you looking to ? TD1204 ? TD1208 ? We are currently looking for the TD1208 model. We will contact Avnet-memec, thank you for your answer. I have a TD1208 module and a RPi and I am trying to work with them but I have some issues. Tell me what kind of issue you have. I have some sensors that send their data to RPi. In RPi, I have installed some servers in order to receive and manage the data. I forward these data (they are in JSON format) via http to Open.Sen.Se (cloud applications). Now, I want to send these data to Open.Sen.Se via Sigfox technology. I have a TD1208. How can I send these dava via Sigfox? I think that first I have to convert the value I want (e.g. temperature from one device/sensor) to hexadecimal, send it some how, to sigfox back-end and then I have to create a callback, to receive this value to Open.Sen.Se application. – if open.sen.se is able to manipulate data given through get parameter you can directly point your callback to this service. I manage to send the value that I want via sigfox to Thingspeak (it`s another platform). But the value is in hexadecimal. Do you know any website which I can use in order to convert the hexadecimal to ASCII and then send them to to Thingspeak? In fact the data are send in ASCII where each of the characters are hex coded values representing a quartet. I don’t know if any web service propose a conversion you could use. By-the-way you can look to my other post where you will find the 10 lines of PHP you need to interpret this value. Is schematic of your board is available ? I’m actually building a Hat compatible card it should be delivered soon. I can provide PCB for good price. contact me by email. 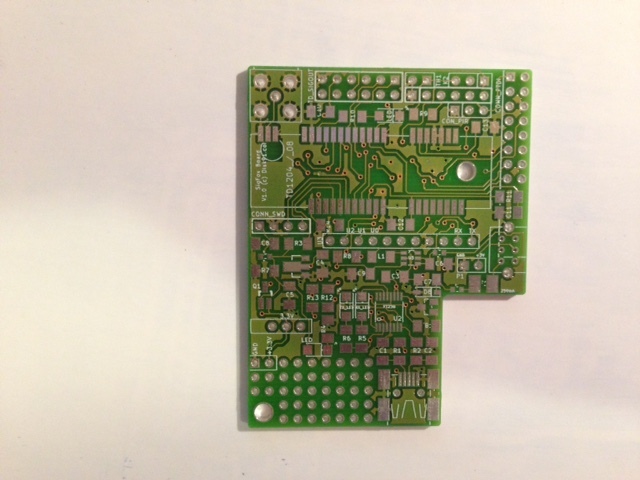 Hi, I would be interested in ordering one or two of these PCB. Do you have any available ?